We chose to highlight the main writers of the show. 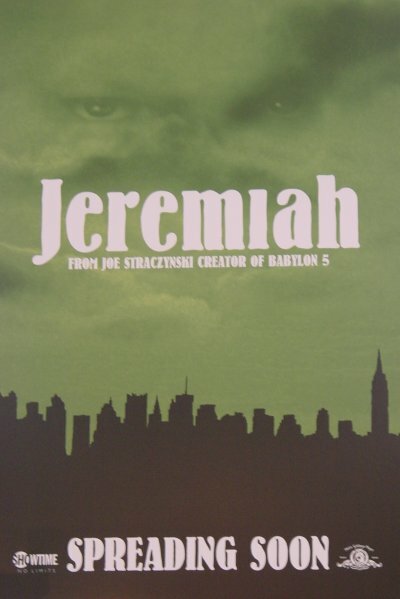 Of course there is J. Michael Straczynski who is the main writer and show runner for Jeremiah. Sam Egan wrote about half of season one's episodes but was apparently replaced with Grant Rosenberg in season two. Finally, there is the fan favorite. Sara "Samm" Barnes. who wrote a couple episodes in season one and another for season two. If there are more writers who start contributing a significant amount to the show, you can be sure you will see them here. J. Michael Straczynski is considered one of the most prolific and highly-regarded writers currently working in the television industry. He served as executive producer and creator of "Babylon 5," which ran successfully for five years in syndication and "Crusade," which ran on the TNT Network in 1999. He also wrote and executive produced the pilot movie for a new "Babylon 5" sequel series titled "The Legend of the Rangers" slated to air on the SciFi Channel this month. Straczynski recently adapted his popular comic "Rising Stars" into a feature screenplay for MGM and Atlas Entertainment, with the film tentatively set for production later this year. He also wrote and produced "Murder, She Wrote," a television movie for CBS; launched a second comics title for "Top Cow," and "Midnight Nation" then debuted his own radio drama series, "The City of Dreams," on the Sci-Fi Channel. Straczynski also took over as writer on "The Amazing Spider-Man" for Marvel Comics. 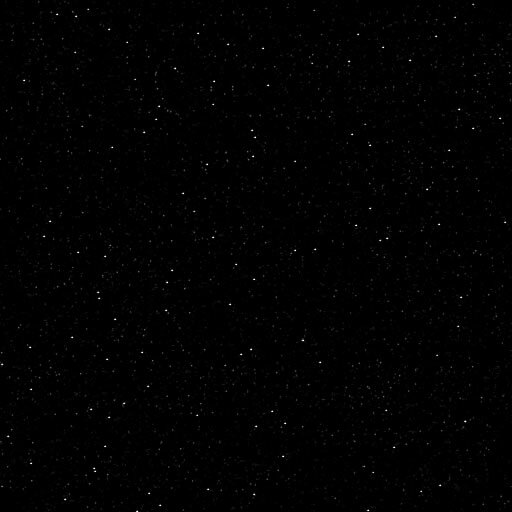 For 2002, he has another series in development for the SciFi Channel entitled "Polaris." In 1996 and 1998, he won the coveted Hugo award for Best Dramatic Presentation, the most important award in the science fiction genre and was twice awarded the Space Frontier Foundation's "Vision of the Future" Award. Straczynski is also the author of the nonfiction book, "The Complete Book of Scriptwriting", which has become one of Writer's Digest Books best-selling titles. See our page of JMS Books or just look around in our Babylon 5 section of The Abyss. Visit our Image Libray for more photos of J. Michael Straczynski. I like world building. It's a favorite sport of mine. [During season one] I did about half and Sam Egan did about half [of the writing], and a couple were freelanced by Sam Barnes. But [for season two], Showtime felt that, because of the intensity of the two-parter and other parts of the story last year, they kind of wanted a focus brought to it, so they said, "Can you do all or nearly all?" And I said, "No, I'll do what I can." Probably about 13 out of 15. They chased me down for the better part of a year. At first I wasn't sure what to do with the show because I'd seen a lot of movies of that type done and I didn't know what to do to make this interesting within the confines of what they gave me. But then they said, "You can make changes to make it interesting. You have the freedom to make this work for you." [So] I agreed to come on and do it. All of a sudden, from a "back-burner" project it came to life and was a "go" series! For five years, Sam Egan served as executive producer and writer on the SHOWTIME series "The Outer Limits." Among his notable episodes were the 100th episode titled "Tribunal," and the two-hour season finale of the show's 6th year "Final Appeal," which starred Charlton Heston, Robert Loggia, Amanda Plummer, Hal Holbrook, Cicely Tyson, Swoozie Kurtz, Michael Moriarty, Kelly McGillis and Walter Langham. Prior to "The Outer Limits," Egan was co-executive producer of ABC's "Second Noah," and consulting producer on CBS' "Northern Exposure." He has been active in alternative media, most recently developing and writing "The Dream Detective," an animated flash-animation Internet series which premiered in 2001. He also co-created "The Santa Fe Mysteries," an interactive CD-ROM series. Egan created "Snoops" and "Sweating Bullets." He also served as co-producer and co-writer of "Imagine - John Lennon," and co-writer of the cult comedy "Elvira, Mistress of the Dark." Egan was producer/writer of "The Kid Who Loved Christmas" starring Della Reese, Vanessa Williams, and Sammy Davis, Jr. and was executive producer/ writer of CBS' "Learned Pigs and Fireproof Women" starring Steve Martin and Ricky Jay. For his writing and producing, he received an Emmy nomination and four Gemini nominations. One of the Gemini nominations was for Best Writing On a Television Drama for the "Tribunal" episode of SHOWTIME's "The Outer Limits." He is a winner of the Edgar from the Mystery Writers of America, a three-time winner of the Saturn Award for Best Science Fiction Television Series, and a two-time winner of the Golden Pen, from P.E.N., the international writers' organization. He has also won the Scott Newman Foundation Award for Best Television Drama. Mr. Egan left the show after season one and appears to have been replaced by Grant Rosenberg. Visit our Image Libray for more photos of Sam Egan. She worked on the set of "Babylon 5: Legend of the Rangers" as the Craft Services/First Aid person and has had a number of similar positions in other productions. It looks like this is her first writing gig happened on Jeremiah and it is quite a strong start. There is very little information we can find about her at this time. Replacing Sam Egan as Executive Producer, Mr. Rosenberg has taken on the day-to-day responsibilities on the set in order to free JMS' time to write most of the episodes in season two. He may have had a hand in getting newcomer Joanne Kelly ("Thesp") since the two of them had worked together previously on TRACKER. Grant Rosenberg was the Co-Executive Producer of THE OUTER LIMITS as well as TRACKER and now JEREMIAH. He spent two years as Executive Producer/Writer on another Showtime series, POLTERGEIST: THE LEGACY. Two years prior to that he divided his time between Vancouver and Los Angeles serving a Co-Executive Producer on POLTERGIEST: THE LEGACY as well as being a writer/producer on the ABC series LOIS & CLARK. Grant has served as Executive Producer and/or writer on multiple series including TIME TRAX, MACGYVER and STAR TREK: THE NEXT GENERATION ("New Ground"). Additionally, he was Executive Producer on FACE OF FEAR, the television movie based on the novel of the same name by best-selling author Dean Koontz. Before turning to writing and producing, Mr. Rosenberg was Senior Vice President of Network Television for Walt Disney Studios where he was involved with THE GOLDEN GIRLS and THE DISNEY SUNDAY MOVIE. Prior to joining Disney, he spent eight years with Paramount Pictures Television, finishing his stint there as Senior Vice President of Creative Affairs.